Turmeric is a wonderful spice that is used in many cultural cuisines. 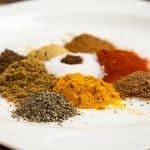 We’re taking a look at exactly what is turmeric and how to use turmeric in your cooking for it’s unique flavor and beautiful color. 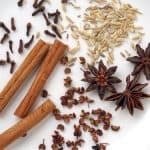 There are lots of herbs and spices that have been used in different cultures for many years, and that have gradually become more popular elsewhere. In some cases, the flavor wins people over, in other cases it’s something else. Turmeric is an interesting spice as for most people, if you tried it on its own you wouldn’t like it as it’s a bit bitter. However it is a really popular ingredient in cooking across Southeast Asia and into the Middle East. 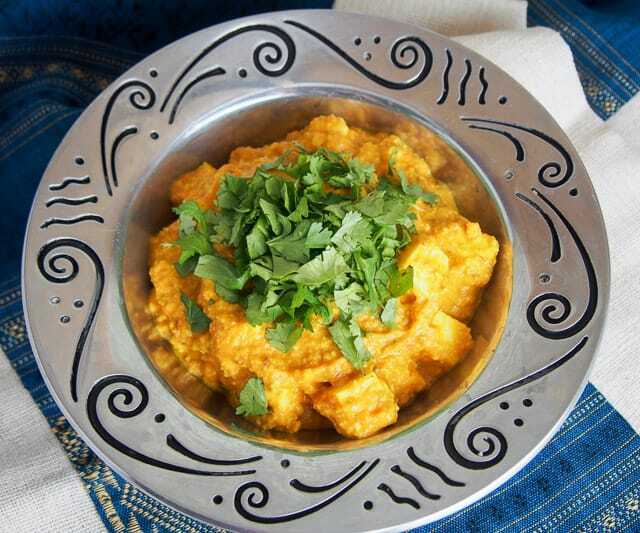 In smaller quantities, the flavor of turmeric adds a certain warmth to the flavor of a dish, and a vibrant color. 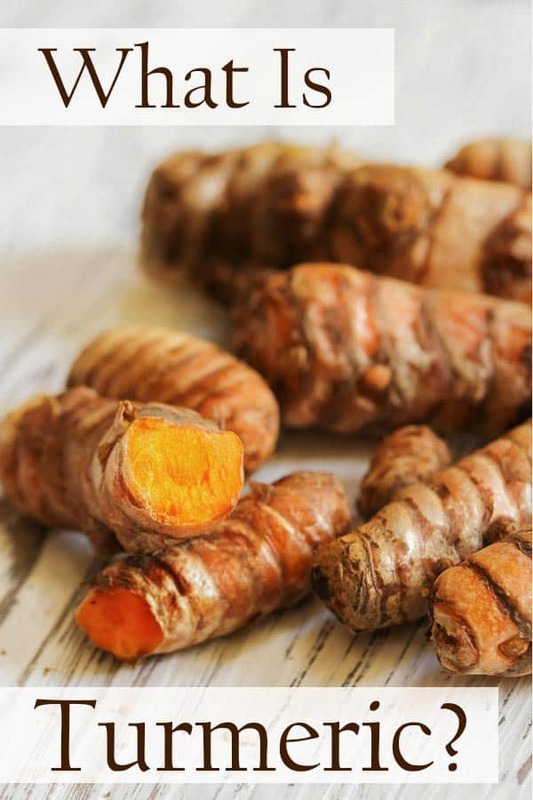 Turmeric is a root, in the same way as ginger. In fact, if you find it fresh it looks kind of like a smaller, more orange version of ginger as the plants are related. It’s native to India and grown around the region. While you might find it fresh, and that’s the way it is used in some cultures, in the West you are most likely to see it dry and ground into a powder. Turmeric is used in some traditional medicine, particularly in India, and has some ceremonial uses. It can also be used as a dye, though it’s not very color-fast as a clothes dye. It is often used to color food, and also to help preserve the color of other foods such as when they are being preserved by pickling. Turmeric is a key ingredient in curries and many other dishes across India and Southeast Asia. 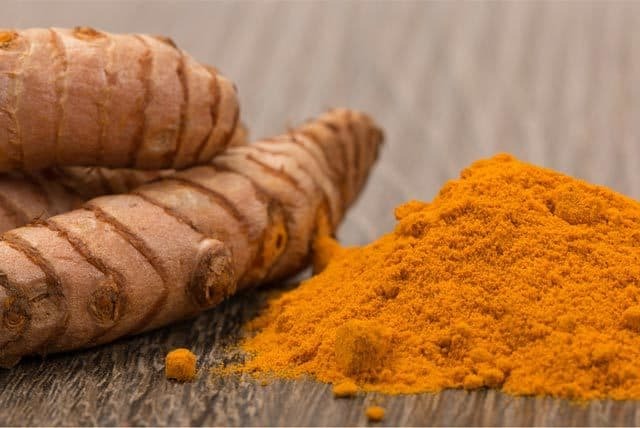 If you think of almost any curry that has a slight yellow-orange color in it, that color almost certainly comes from turmeric. 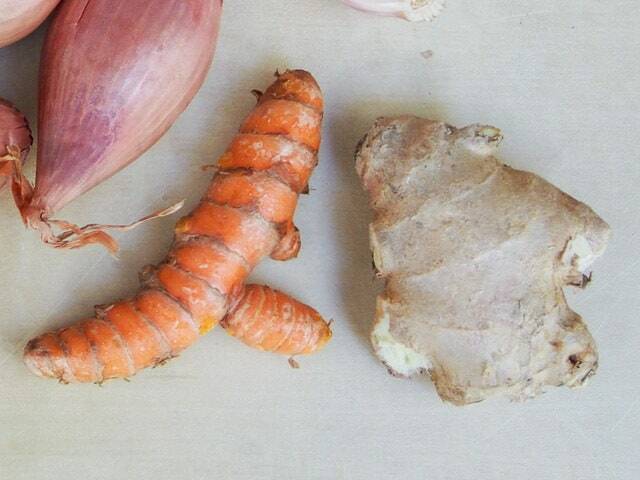 Turmeric gives a slightly bitter, earthy flavor to dishes. It’s not particularly appealing on it’s own, but works well mixed with other spices and other ingredients that balance out the flavor. When used fresh, the flavor is more mild and less color comes from the root. 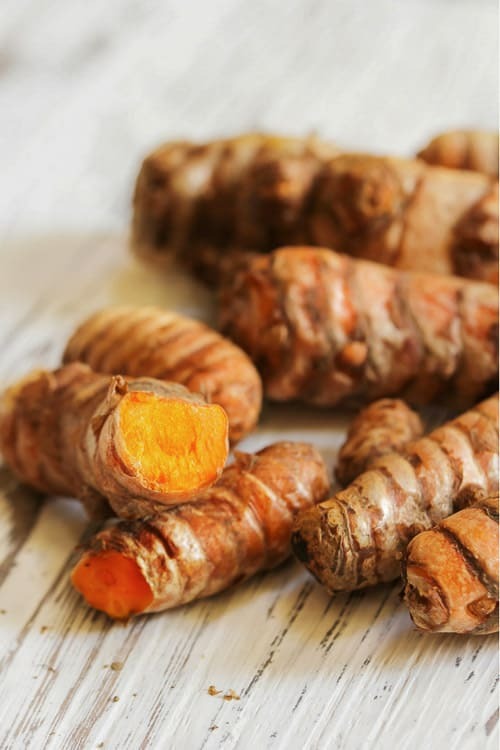 Turmeric is one of the common spices in a couple of popular spice blends – curry powder and ras el hanout. 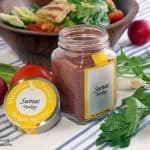 Both blends are great to have on hand because they are easy ways to get robust and complex flavors in dishes without having to create your seasoning blend from scratch each time. Ras el hanout means ‘top of the shelf’ and is a Moroccan blend. It’s common in dishes such as tagines. Curry powder is actually a very broad term and comes in a wide variety of forms. 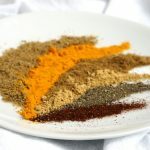 While many of us might think of Indian food when we think of curry powder, it’s not actually that common in typical Indian cooking as most people will actually make it from scratch for each dish, such as in dishes like lamb biriyani or paneer Makhani. 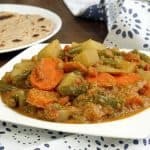 However particularly since some curry dishes use a lot of spices, it has become more common for those wanting to quickly and easily recreate Indian dishes to use blends such as Madras curry powder as a base. Other countries also use turmeric in curry powders, pastes or blends as a base to many dishes. Cambodian curry paste kroeung includes fresh turmeric and is used is dishes like the popular Amok. Japanese curry powder’s main ingredient is ground turmeric. Some Malaysian dishes such as laksa use a mixture of both fresh herbs and spices and a dried curry powder which uses turmeric. Asam laksa from the Penang region uses fresh turmeric in the broth. 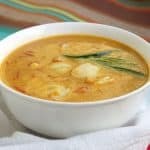 Some Thai dishes use turmeric, such as yellow curry, turmeric soup and the increasingly popular turmeric latte (or golden milk), usually made with coconut milk. 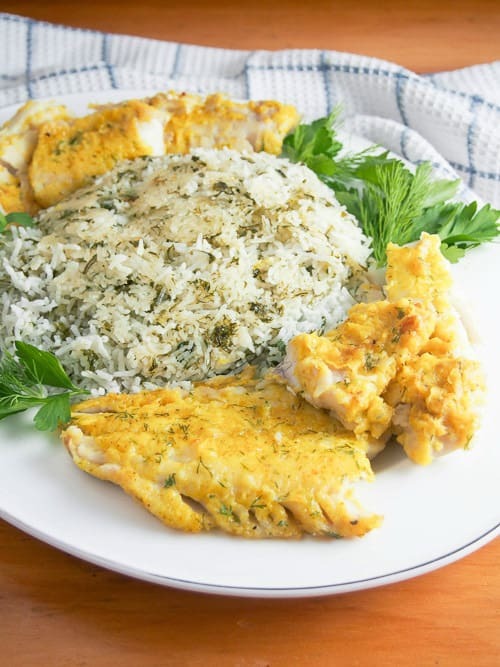 You’ll also find it in a few other cultures, such as some Iranian khoresh dishes(stews) as well as the popular sabzi polow mahi (herb rice with fish). 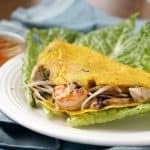 It’s used in small amounts for a little flavor and color in some Vietnamese dishes like banh xeo and in some South African dishes like the yellow rice served with bobotie (that also has some turmeric, typically from curry powder). 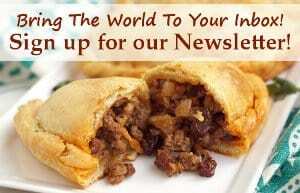 How have you cooked with turmeric? What will you try next? 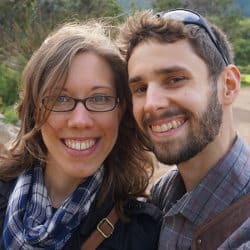 Caroline has lived and traveled in various places before settling in Cambridge, MA. She still fits in some travel with her family, but often settles for traveling through food instead. 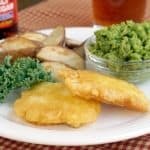 Sharing recipes on her blog, Caroline's Cooking, there's plenty of international inspiration using seasonal ingredients, as well as creative recipes for all to enjoy. Caroline is originally from Scotland, where she grew up hiking and skiing, both things she still loves to do when her two young boys give her a chance. You can find out more on what she's cooking by following on Instagram, Facebook, Pinterest and Twitter.